There are 23 Memory Care Facilities in the Worthington area, with 2 in Worthington and 21 nearby. The average cost of memory care in Worthington is $4,745 per month. This is higher than the national median of $4,650. Cheaper nearby regions include Dublin with an average starting cost of $4,448. To help you with your search, browse the 18 reviews below for memory care facilities in Worthington. Better rated regions include Dublin with an average rating of 3.7 out of 5 stars. Caring.com has helped thousands of families find high-quality senior care. To speak with one of our Family Advisors about memory care options and costs in Worthington, call (855) 863-8283. The tiny city of Worthington is a suburb of Ohio's capital city, Columbus. Of the approximately 14,600 residents in Worthington, about 21 percent are age 65 or older, which is an indication of the peaceful town's appeal to seniors. With 220,000 seniors diagnosed with Alzheimer's disease in Ohio as of 2018 and a projected increase of 13.6 percent by 2025, memory care facilities are in demand throughout the state. To meet the needs of Worthington residents with Alzheimer's disease or other forms of dementia, there are two memory care facilities within the city limits and 21 others in surrounding communities. 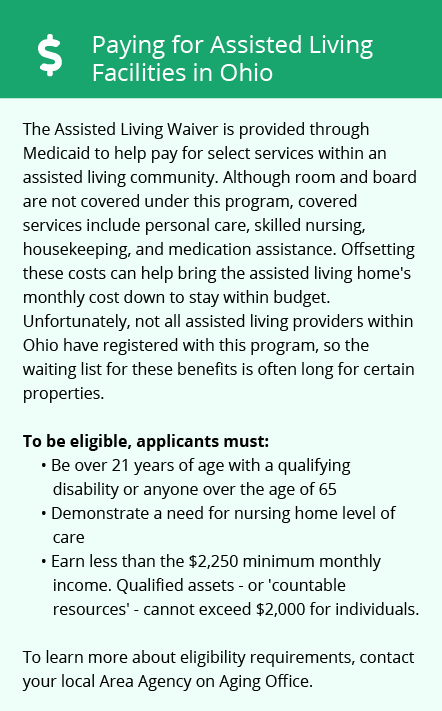 In Worthington, as in all of Ohio, memory care facilities are licensed by the Ohio Department of Health in the same way as all residential care facilities (RCFs.) The only separate requirement is that RCFs that accept residents with dementia must undergo staff training specific to dealing with these types of residents. The cost of living in Worthington is about 17 percent higher than the U.S. average, but much of that disparity is in housing costs and other budget items of fairly low concern to memory care patients. Healthcare costs are lower in Worthington than the U.S. average, while transportation costs are slightly higher, which could be worth considering when looking for a memory care facility in the area. Worthington is located in Franklin County, which received a grade of F from the American Lung Association for ozone levels but an A for 24-hour particle pollution. The high ozone levels in Worthington could be of concern for seniors in a memory care facility there who have asthma or other respiratory illnesses. Crime rates in Worthington are moderately high, with the city receiving a crime rating of 44 out of 100, with 100 being the safest. Most crimes in Worthington are property crimes, and violent crime levels are low. Families looking for memory care facilities in the area should ask about how the staff handles security and how the residents are protected from theft. Worthington has no hospital facilities from which to choose in the event of a medical emergency or illness, with the nearest major hospital specializing in brain health and dementia care located in Columbus. Memory Care costs in Worthington start around $4,745 per month on average, while the nationwide average cost of memory care is $4,800 per month. It’s important to note that memory care rates in Worthington and the surrounding suburbs can vary widely based on factors such as location, the level of care needed, apartment size and the types of amenities offered at each community. Worthington and the surrounding area are home to numerous government agencies and non-profit organizations offering help for seniors searching for or currently residing in an assisted living community. These organizations can also provide assistance in a number of other eldercare services such as geriatric care management, elder law advice, estate planning, finding home care and health and wellness programs. To see a list of free memory care resources in Worthington, please visit our Assisted Living in Ohio page. 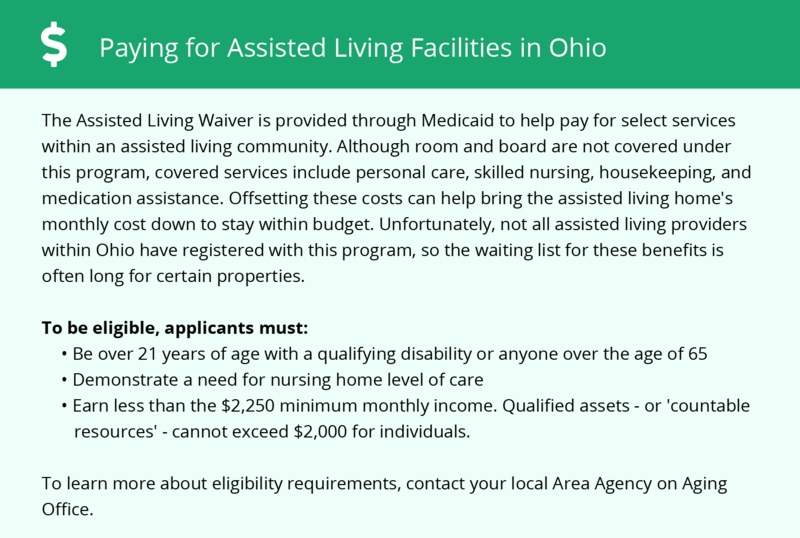 Worthington-area assisted living communities must adhere to the comprehensive set of state laws and regulations that all assisted living communities in Ohio are required to follow. Visit our Memory Care in Ohio page for more information about these laws.